Our aim is to bring experts of the cell biology field together with virologists and to encourage and assist scientific exchange in both areas. This year’s meeting will again bring five keynote speakers with careers that perfectly illustrate this concept. They will cover topics as large as arthropod cell biology and various zoonosis from molecular and cellular level perspectives. They will share their unique experience and vision in both cell biology and virology. This year again will be a session on scientific editing, which will be chaired by Karen Mossman (Editor at PLoS Pathogens). We will continue with the tradition of our lively atmosphere with our open discussion! Please remember, that the virology-related presentations do not have to be connected with our current workshop topic! We are excited to welcome back our two presentation winners from last year’s meeting and to hear their new results. 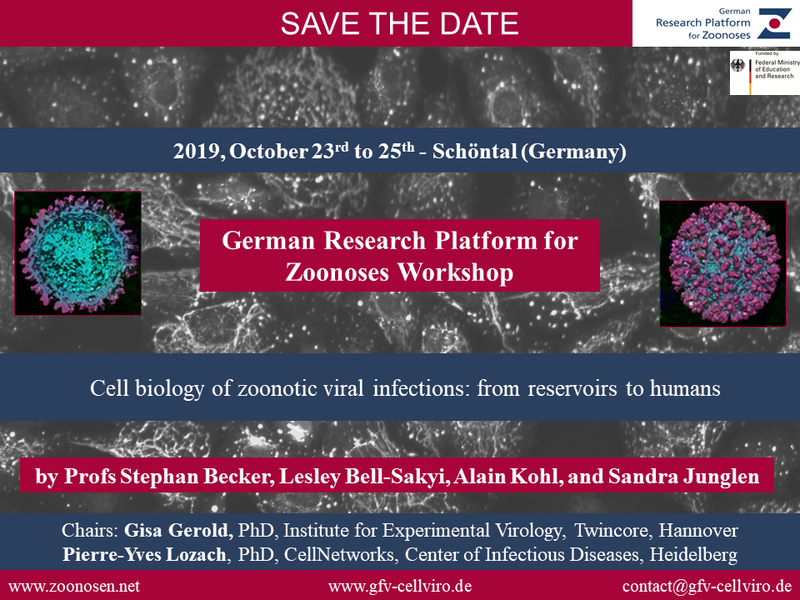 We look forward to seeing old faces and meeting new colleagues who share our excitement for viruses and cells!